5" heavy duty roller bearing polyurethane casters. Easy grip locking "T" handle on cabinets. 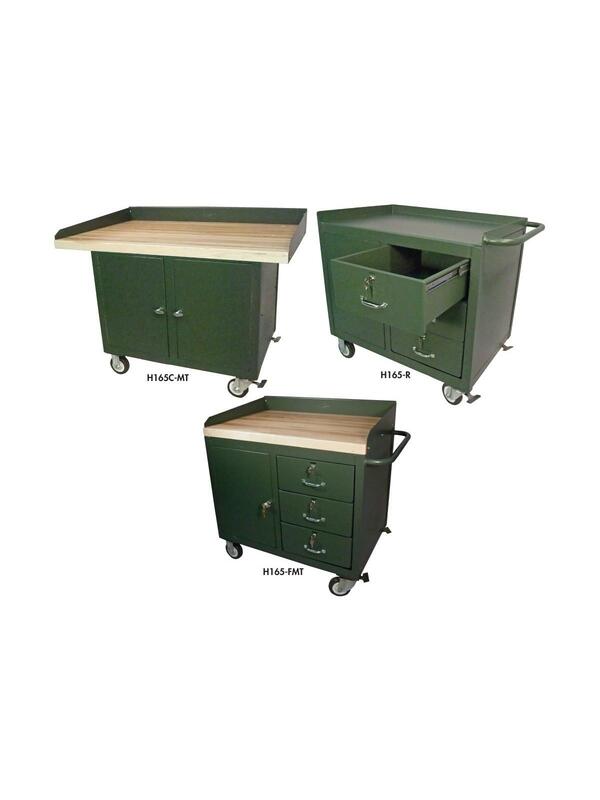 The Cabinet/Drawer Mobil Maintenance Bench has 3 heavy duty, heavy use (100 lb. capacity each) bench drawers with keyed cylinder locks and pull handles on ball bearing slides. An adjustable interior shelf sits behind a reinforced cabinet door with locking t-handle. 2 rigid and 2 locking swivel casters standard. 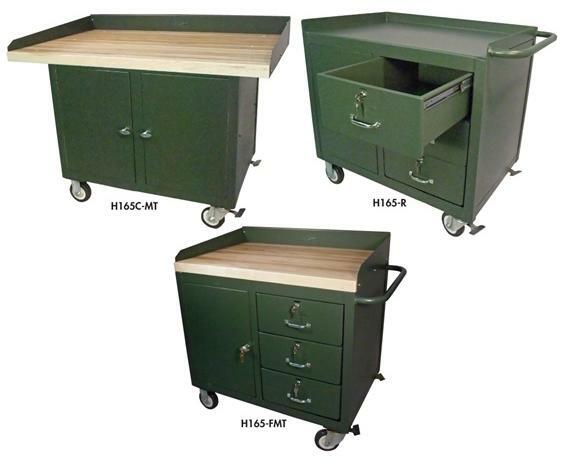 In a garage, a maintenance shop or a factory, this mobile unit keeps all of your tools at hands reach. FOB Shipping Point. The Full Cabinet Mobile Maintenance Bench has over 12 cu. ft. of storage space with an adjustable middle shelf behind 2 reinforced locking t-handle cabinet doors. FOB Shipping Point.